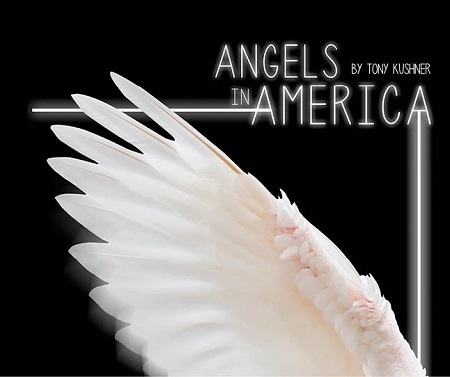 The SPSCC Theatre program presents Angels in America: A Gay Fantasia on National Themes by Tony Kushner at the Kenneth J. Minnaert Center for the Arts Main Stage from Nov. 8 to 18, 2018. The play is presented in two parts, Millennium Approaches and Perestroika, and patrons can choose to watch one show, both shows, or purchase an exciting dinner and show package on closing night, Nov. 18. The Angels story focuses on Prior Walter (Nicholas Main), a fiercely funny, wise, and mortally frightened gay man striving for more life by fighting AIDS. It costars his lover, Louis Ironson (Mike Gregory), who is overwhelmed by guilt for his inability to face Prior’s struggle. Also featured are Belize (Cameron Dyas), a black, gay nurse and former drag queen; Joe Pitt (Ethan Grabowski), a Mormon, Republican, law clerk; his wife Harper (Jesse Morrow), a Jack Mormon, agoraphobic Valium addict; and Joe’s mother, Hannah (Sara Thiessen), who comes to Brooklyn from Salt Lake City after Joe drunkenly comes out to her over the phone. Blurb via OLY ARTS. Nov. 8 at 7 p.m.
Nov. 18 at 1 p.m.
Nov. 15 at 7 p.m.
Nov. 18 at 7 p.m.